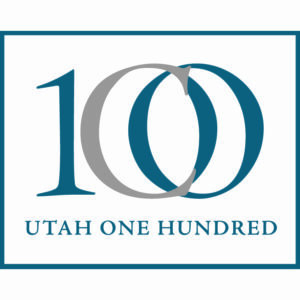 SALT LAKE CITY, Utah – October 13, 2017 – The MountainWest Capital Network (MWCN) has named DFPG Investments, Inc. (DFPG: www.dfpg.com), a dually-registered independent broker-dealer and registered investment advisor, to the annual Utah 100 list, which recognizes Utah’s 100 fastest-growing companies. MWCN is the largest business networking organization in Utah, consisting of entrepreneurs, venture capitalists, consultants, legal professionals, bankers, and educators. MWCN seeks to promote and recognize business growth and capital development in the state through a variety of award programs and activities. Bendix is the former president of the Alternatives & Direct Investment Securities Association (ADISA), which is the nation’s largest alternatives investments association. Bendix is still very active at ADISA, serving on its board. In 2014, Bendix was awarded the ACE Award, which is the association’s career achievement award. In addition to being awarded MWCN’s Utah 100, Utah Business magazine added DFPG to their 2017 Fast 50, an annual list the magazine publishes to recognize the 50 fastest-growing companies in Utah. DFPG was also included in Inc. Magazine’s Inc. 5000, which recognizes America’s fastest-growing private companies. More information about DFPG, including media inquiries, can be directed to Nick Hansen (nhansen@dfpg.com).